Crum Electric Supply is a value added distributor of industrial automation, controls, motion, and drives products and solutions. From manufacturing to mining to oil & gas to water/waste water, Crum Electric has the products, solutions, and technical expertise to meet the needs of these dynamic industries. 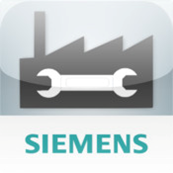 Crum Electric Supply is a proud and select partner with SIEMENS Industry . This alliance allows Crum Electric to stand above its competitors and helps customers in the industrial, infrastructure, and construction sectors by providing complete electrical, engineering, and automation solutions. Crum employs Automation Specialists that cover all of our branches, to help assist you with your Industrial Automation projects. Whether it be training, site visits, quotations, or just someone to bounce ideas off of – our Specialists are with you every step of the way.